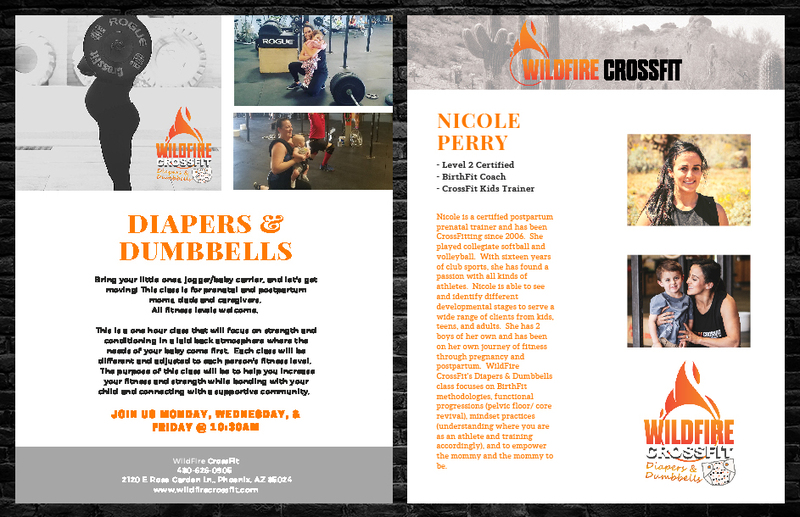 We are starting a new class at WildFire CrossFit, it’s called “Diapers & Dumbbells” and it is specifically designed for NEW and EXPECTING Parents. Expecting & New parents deserve GREAT fitness too. This class is not only designed to help you get in great shape; it’s also designed to strengthen the bond with your new bundle of joy! There are several benefits new and expecting mom’s get from regular exercise. Besides the obvious benefit of tightening, toning, and shedding those leftover pounds, regular fitness release endorphins which will help balance those, out of whack, hormones, and will relieve symptoms of postpartum depression. Finding time for yourself is hard with a new baby on board, this class will help you make time that will make you a healthier and happier parent. This class will help you bond with your new little boy or girl in a fun group environment with other parents who are experiencing the same things you are. 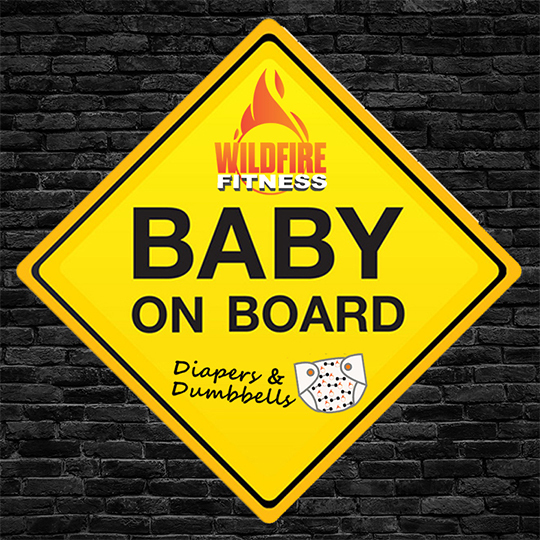 Every Monday, Wednesday, & Friday at 10:30am, join us for our NEW Diapers & Dumbbells class at WildFire CrossFit. Bring your little ones, jogger/baby carrier, and let’s get moving! This class is for prenatal and postpartum moms, dads, and caregivers. All fitness levels are welcome to attend. If you have other kids who need to come along, GREAT! They can hang out in our kids’ area here in the gym. This is a 1-hour class that will focus on strength and conditioning in a laid-back atmosphere where the needs of you baby come first. 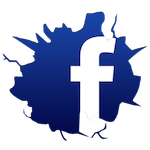 Each class will be different and adjusted to each person’s fitness level. The purpose of this class will be to help you increase your fitness and strength while bonding with your child and connecting with a supportive community. OR, just come on in and check out a class whenever you are ready!